There is a great array of research material that examines the effects of reading to babies and young children, with the majority focusing on preschoolers rather than infants, and this literature clearly illustrates that sharing books with young and very young children produces myriad positive effects and long-lasting benefits. Well-established research reminds us that infants are active learners in processes of action and explanation (Wade and Moore, 2000), who none-the-less rely on adults for stimulation and experiences for their learning to take place (Piaget, 1952,1954). Researchers note that the quality of these early experiences is extremely important and ideally should be calm, democratic and loving. The ability of very young children to learn through imitation, discrimination, responsiveness and reciprocal action has been demonstrated by a number of researchers (including AInsworth and Bell, 1970, Richards, 1974, Appleton et al 1975 and Bowever 1979, cited in Wade 2000:2). What is known about conversation and play with babies can be said to apply equally to book-reading as an activity which provides for a pleasurable source of conversation and interaction between adult and child (Wade and Moore, 2000). The work of Kuo et al (2004) for the journal Pediatrics concerns a call made by The American Academy of Pediatrics’ (AAP) to health care providers asking them to encourage parents to read to their children as part of children’s well-being check-ups. The very young age of the babies involved is pertinent: AAP advocate reading to babies from 6 months of age onward, while the Maternal and Child Health Bureau Bright Futures Guidelines recommends reading from 2 months of age. The authors comment that “although a 2-month old may not be cognitively prepared to benefit from the words on the pages of a book, the act of sitting in a parent’s lap and listening to the rhythm and intonation of language may not only strengthen the socioemotional bond between parent and child but also address important linguistic precursors such as rhythm and prosody.” (Kuo, 2004:1949). Research also shows that the earlier parents become involved in their children’s literacy practices, the more profound the results and the longer-lasting the effects (McCoy, 2011, citing Mullis, Mullis, Cornille et al, 2004). The advantages of early and frequent reading to young children can be broadly assembled under two main headings: The first relates to the significant increase in the child’s language development and educational attainment, while the second concerns the parent-child dynamic and the enhancement of their bond. In addition to the strengthening of this immediate bond there may, I suggest, also be a continuing flow-on for parents regarding the vital role they play in the ongoing education of their children. The act of parent-child reading therefore produces beneficial effects for both participants and these benefits can be seen to be as both short and long-term. As an overview, parental reading to young children is regarded as a very important predictor of literacy achievement (Weinberger, 1996). It is associated with strong evidence of benefits for children such as language growth, reading achievement and writing (Bus, Van Ijzendoorn and Pellegrini, 1995; Brooks, 2000), the enhancement of early language comprehension and expressive language skills, listening and speaking skills, later enjoyment of books and reading, as well as understanding narrative and story (Wells, 1987, Crain-Thoreson and Dale, 1992; Weinberger, 1996, as cited in McCoy, 2011: 6). Initiatives that supply books and reading information packages to new parents have been successfully rolled out in the UK. 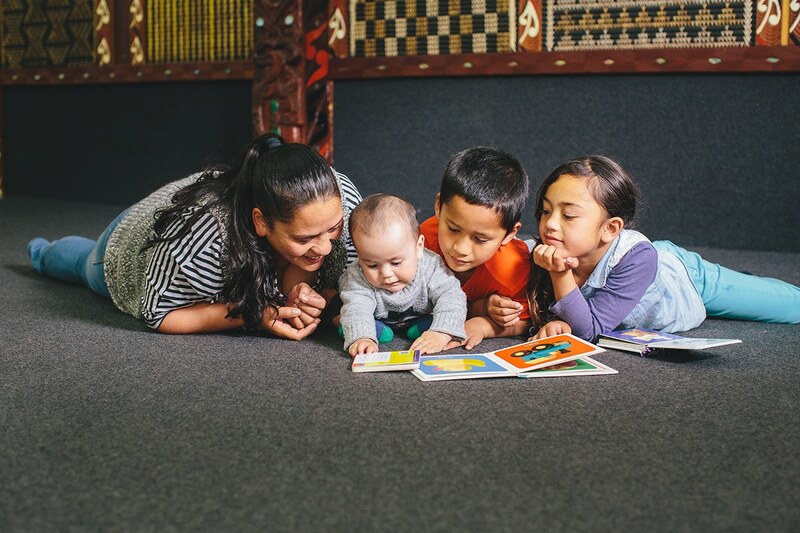 Some of the most interesting and accessible analysis of how this has succeeded comes from researchers who have tracked the early participants in the Bookstart programme. This is a programme which began in 1993 by giving free children’s books as well as posters, poem cards and information about library facilities to approximately 300 families in South Birmingham at the point of the children’s nine-month health check. Initial surveys of this group demonstrated parents’ positive attitudes towards books, increased book-buying and library enrolments. Parents also reported spending more time sharing books with their babies than if they had not been given the pack (Wade and Moore, 1993 as cited in Wade and Moore, 2000). This success led to a longitudinal study of the families and specifically the achievements of the Bookstart babies. The first stage involved the children when they were 2½ to 3 years old and involved a comparison group that matched the Bookstart group “in all important features.” Interviews showed that Bookstart families gave considerably higher priority to books, visited libraries mores and spent more time sharing books with their child (Wade and Moore, 1996a, cited in Wade and Moore 2000). The vital point about the findings was that it appeared that book-gifting at 9 months produced ongoing positive habits within the home and that repetitive reading experiences undoubtedly benefited the children. For example, observations of parent-child book-sharing sessions in their own homes demonstrated that Bookstart children concentrated more, showed greater interest in books, pointed to the text more and tried to turn pages more often than those in the comparison group. Furthermore, the Bookstart babies joined in with the reading more, asked and answered more questions and made more predictions that the comparison group. In other words, both interactive and oral behaviour in toddlers was enhanced by their inclusion in Bookstart (Wade and Moore, 1996b, cited in Wade and Moore 2000). Continuing to track the Booksmart participants, Wade and Moore conducted a follow-up study of the children as they began primary school. Again, the findings were clear and positive. Against a comparison group the children were assessed in three English and three Math tests. In English, the Bookstart children were shown to be ahead in all three scores but in reading this advantage was considered to be statistically “highly significant”. Similarly, the Bookstart children were advanced in all three maths tests, with a “highly significant” difference emerging in the “numbers” test (Wade and Moore, 1998, cited in Wade and Moore 2000). The next follow-up study took place when the children were aged 7 to 8 and tested them in 10 Key Stage 1 assessments (3 English, 3 Math, and 4 Science). This study concluded that mean scores for each group showed that the Bookstart children were overall ahead of the comparison group. Although two of the science and one of the maths results were not great enough to be considered statistically significant, all of the others were. So, the researchers determined, Bookstart children had both started school with an advantage over baseline scores AND maintained this superiority to the end of Key Stage 1. This finding is consistent with the research of others, such as Wells (1986), Butler (1988), Juel (1988) and Bus et al (1985) (cited in Wade and Moore, 2008) who find that children who begin their schooling with an advantage maintain their difference as their education progresses. Not surprisingly, an element of the reverse has also been empirically proven: The link between disadvantage and lack of achievement is also cumulative: when poorer children enter primary school, despite early indications of potential, they tend to fall behind (Feinstein 2003, 2004 cited in McCoy, 2011). Consequently, the chances of breaking cycles of poverty and deprivation are considerably reduced as children get older (Cole, 2011, citing DfES, 2004). Success for a child during their early years at primary school is therefore of critical importance. Dunst, Simkus and Hamby (2012) have produced two recent and interesting meta-analyses of the effects of reading on toddlers and babies. The first reviews six intervention studies, involving 408 participants and concludes that reading is indeed effective in advancing children’s expressive and receptive language. Furthermore, the earlier that reading starts and the more frequently it occurs, the greater the benefits to children. Two shortcomings that this paper reveals however is first, that the researchers were only able to uncover “a handful” of studies focused on children 36 months of age or younger and second, there is a real lack of information regarding what they term “the specific characteristics of the reading interventions in most of the studies” and therefore information regarding “the characteristics of and the conditions under which reading to infants and toddlers is most effective (Dunst, 2012b: 3, emphasis mine). Because this paper is published by CELL (Center for Early Literacy Learning, USA) they conclude by noting that although there is a paucity of research information regarding the characteristics of reading experiences included in the studies, there is no shortage of advice and suggestions from experts in the field as to what, broadly, constitutes beneficial reading sessions for children. In essence, reading must be pleasurable for children to “work”. And again, because this is CELL (so there is, therefore, a promotional aspect to the work) the authors conclude by going into detail regarding the expert guidelines for linking reading to pleasure for children, guidelines that echo and repeat much of what is evident on the UK Bookstart website or indeed as advocated by our own Dorothy Butler in her seminal work, Babies Need Books (1980). This means that parent-child engagements with books ideally involves “reading with enthusiasm, responsiveness to children’s attempts to engage in looking at and playing with books, reading stories that include rhythms and rhymes, following children’s interests, repeated reading of children’s favourite stories and rhymes, and engaging children in reading episodes just long enough to maintain engagement” (Dunst et al, 2012a: 3-4). So there is certainly a case to be made for thinking about not just whether parents read to their children but also how. Are parents aware of guidelines that help make reading fun? And if so, do they put them into practice? And if reading material is supplied to families, then is information also supplied to about current recommendations regarding reading for children’s pleasure? The second meta-analysis by Dunst et al published by CELL in 2012 examines 11 studies that included 4,020 participants and tests the contention that “it is never too early to read to infants and toddlers.” They therefore set out to examine studies where most of the participants were first read to at age 36 months or younger (average age 22 months) and with an eye to ascertaining if variations in age at onset as well as frequency of reading produces different results. This study explicitly states that it includes samples of children “considered at-risk for poor outcomes due mostly to socio-environmental factors” (Dunst, 2012a: 2). The findings here show that the younger the children were read to, the better their literacy and language skills (with sizes of effect ranging from small to medium in nearly all the analyses) while frequency also showed a positive impact, it was not as marked a determiner as early age onset. The authors therefore conclude that there is indeed empirical support for the “never too early” adage. In summation, both of these studies conclude that the “benefits of early shared reading became more pronounced the later the language measures were administered, indicating that early reading had longer term benefits” (Dunst, 2012b: 3). In other words, the benefits of early reading become more detectable as the children grow up. Kalb and van Ours (2012) have also investigated the strong association between reading to young children and later developmental or educational outcomes. Using what they describe as “economic and statistical methodology” they conclude that the relationship between early childhood reading and improved educational attainment is indeed a causal one. While they study the reading of 4-5 year olds rather than babies, their work is none-the-less interesting for showing that the benefits are not just improved reading skills but include also wider cognitive abilities, such as language, literacy, numeracy and cognition. They note “reading to children 3-5 days a week (compared to 2 or less) has the same effect on the child’s reading skills at age 4-5 as being six months older” and reading to children 6-7 days per week produces the same effect as being almost twelve months older. In addition, this Australian study concludes that “the results indicate a direct causal effect from reading to children at a young age and their future schooling outcomes regardless of parental income, education level or cultural background” (5: emphasis mine). The majority of literature accessed under search terms such as “reading” and “infant” or “child” focuses on the benefits to the important areas of children’s language development, onset of reading, as well as literary and educational attainment more generally. But another set of search terms opens a different category, equally significant, pertaining to the benefits of parental involvement in their children’s education and achievement. We can begin by noting the effects of reading upon something amorphously called the “parent-child bond” (which is not to denigrate its importance), a relationship that participants in the UK’s ‘Bookstart Programme’ reported as benefiting greatly from a parent and child reading together, due to the “special bonding time” reading together created, in addition to welcome improvements in “calm and routine” (Hall 2001). Others comment “the process of book sharing between a parent and child not only promotes language and literacy development but also strengthens a child’s emotional attachment to the parent and enhances parent-child interaction” (Kuo, 2004: 1948). The connection of reading to increased bonding time for parent and child is also noted by Handman and Jones who undertook a meta-analysis of infant book projects in the UK, concentrating on high-deprivation areas (1999). So there is a clear case to be made for the positive effects of reading to young children has on the parent-child bond and indeed on parents themselves. So to look at this further; the practice of reading to babies intersects with the broader topic of parenting and parenting roles and, in particular, the important value of parental interest as a key predictor of achievement in children. Parents are children’s first teachers and are role-models for life, yet studies continue to show that many parents are not aware of the importance they play in their child’s education and indeed often have a limited understanding of their role in their children’s learning (Department for Children, Schools and Families, London, 2009). Promoting the importance of reading to babies can therefore be both an acknowledgement of the power of effective and engaged parenting, and, additionally, play a part in the furthering of such a model of positive parenting. In the literature we find parents’ attitudes and support for their children’s learning to be a key influence on performance on literacy tests, irrespective of socio-economic status (Tizard, Blatchford, Burke, Farquhar & Plewis, 1988; Wells, 1987, cited in McCoy, 2011). Further, parental involvement has been shown as a more powerful force for academic success than other family background variables, such as social class, family size and level of parental education (Flouri and Buchanan 2004). While there are differing typologies of family literacy programs and the provision of books for children undoubtedly has as its focus the specific development of children’s literacy, there does also seem to be an opportunity here to teach parents something about their ability to help their children’s literacy and so develop in them an awareness of the crucial part they play in their child’s education. So while it should be enlightening for parents to understand specifically what can be achieved by taking the time to read to their young children it might also connect to an even greater empowerment for them regarding their child’s on-going education. In conclusion, the empirical evidence for the benefits of reading to babies and young children is strong and clear. There is undoubtedly a vital opportunity in a child’s early years to set them on a path toward an increased chance of educational success, and this centres on being read to, early, often and for pleasure. But the responsibility for this rests most significantly upon parents, and many parents may not need or want yet another pressure upon them. So finding ways to support the parent as well as the child is crucial. Research on the positive impact for parents themselves, once underway on reading programmes, is however both significant and encouraging. This overview concludes by noting that much of what has been covered concerns the general benefits of reading to young children rather than the specifics of supplying books to families who might not otherwise have them. However I have included here a significant amount of detail relating to the UK Bookstart initiative as I consider the research that Wade and Moore have carried out in connection to this programme to be not only pertinent but also credible and convincing. Bookstart UK not only runs a book-provision service for UK babies, it also operates a tremendous website. In addition, they are able to supply some books in a child’s home language as well as English, as well “Bookshine” packages for children who are deaf, “Booktouch” for children with visual impairment and “Bookstart Star” for children who have conditions that affect their fine motor skills. What great inclusivity. Could any of this be incorporated in NZ? Butler, D. Babies Need Books. The Bodley Head, London. 1980. Dunst, C.J., Simkus, A. and D.W. Hamby (2012a) Relationship Between Age of Onset and Frequency of Reading and Infants’ and Toddlers’ Early Language and Literacy Development, CELL Reviews, 5 (3) pp 1-10. Dunst, C.J., Simkus, A. and D.W. Hamby (2012b) Effects of Reading to Infants and Toddlers on Their Early Language Development, CELL Reviews 5 (4) pp 1-7. Kalb, G. and van Ours J.C. (2012) Reading to Young Children: A Head-Start in Life, Research Partnerships, Department of Education and Early Childhood Development and Faculty of Business and Economics, Melbourne University, pp 1-5. Kuo, A., Franke, T.M., Regalado, M. and Halfon N (2004) Parent Report of Reading to Young Children, Pediatrics 113 (6) pp 1944-1951. Wade, B. and Moore, M (2000) A Sure Start with Books, Early Years 20 (2) pp 39-46.